As the phenomenon of Airbnb takes hold across the country, small townships are scrambling to put in place ordinances to regulate short-term rentals. Nags Head is no exception. “Short-term vacation rentals are a trend we’re falling behind on,” Mayor Ben Cahoon said at Wednesday’s Board of Commissioners meeting. 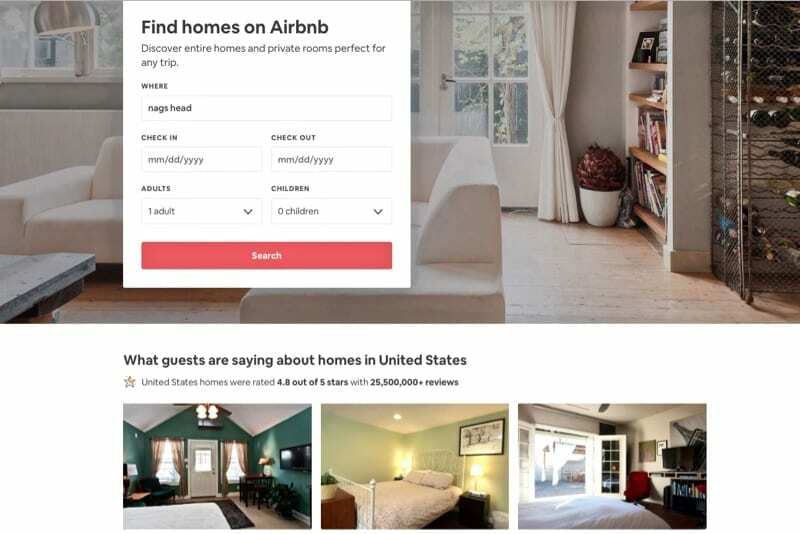 Cahoon was responding to comments in a public hearing from multiple citizens questioning the need for a town regulation that would require owners to register property used for short-term rentals. “This will take away income opportunity from individual owners and it’s not fair,’’ said Amanda Hooper, who lists her home on Airbnb. The proposed ordinance amends Chapter 12 of the town’s code regarding businesses and licensing related to short-term rentals, and brings it into compliance with the North Carolina Vacation Rental Act (VRA). The VRA, enacted by the North Carolina General Assembly in 1999, regulates the competing interests between landlords, real estate brokers and tenants. The Act serves to protect tenants who rent a vacation property for less than 90 days. Andy Garman, deputy town manager, explained that the town’s ordinance would establish a legal definition for short-term rentals by describing what properties fall under this category. The ordinance requires annual registration of a short-term rental property, additional parking spaces for the unit, point of contact information on the owner and disclosure of liability insurance coverage. Failure to register within 30 days of the property being offered would result in an initial $100 fine. Each additional day that a property is offered without being registered will result in a $50-a-day fine. Rental management companies are exempt from the ordinance. “We’ve been looking at this for two years now, and our focus is safety for the owners and renters, and payment of taxes,” said Commissioner Mike Siers. Siers said that unlicensed owners of short-term rentals are legally responsible for paying occupancy taxes. Airbnb takes on the responsibility, but other short-term rental businesses such as Home Away do not. The Board voted unanimously to approve the ordinance. The towns and Dare County as a whole have been behind the 8-Ball in terms of managing this. It is inconvenient, but I have rented homes prior to the existence of companies like AirBnB and HomeAway and there were business licenses posted in the homes clearly showing them as registered. It would be worthwhile for the towns and county to have an employee go through the listings of these sites to make sure rented houses are registered and paying their fare show. Wow, big surprise there. The Town of Nags Head once again has a God complex. Register everything. At what point will Nags Head require a decal on your vehicle for simple passage down 158? This seems heavy handed and a tip of the cap and a wink to the hotel industry. Spent a lot of years in vacation home rentals. Nags Head did the right thing. And yet they allow a methadone clinic right in the middle of Nags Head. The author could have saved herself a lot of trouble and gone straight to the “payment of taxes” part since that’s all the town really cares about anyway. This is the right thing to do. I don’t see why people have a problem with it. So, for the cost of a business license, I could open my own “property management company” and avoid all this red tape? Done. Airbnb runs a tight ship. The property owner can review the guest. Misbehaving Airbnb members are kicked out of the program. . I use it and my AirBnb guests are clean and considerate. This cannot be said for some weekly renters who do not behave so well. Nags Head should be more concerned with 12+ bedroom homes with no fire suppression systems. Airbnb remits all taxes to the state and county. Short term rentals are needed and generate revenue, income and employment. Long over due from owners bypassing taxes required by all others renting their homes. It makes it an even playing field now. Good, the other towns need to do it too. A person could be hired and payed from the fines they charge from those found cheating. So just list on Craigslist. A couple comments. This “safety regulations” bull crap IS HAPPENING EVERYWHERE. As another poster said, AirBnB’s process for self-regulation is 100x better than any local government system. Unfortunately, every dang little town and every county has the right to regulate their housing and to pass taxes ON TOP OF WHAT THE STATES DECIDE. Without those real estate (food tax, restaurant tax, meal tax, parking passes, toll road, sand removal tax, personal property taxes), most of these little coastal towns would fold up. But do they think are we dumb enough to see through their “safety regulations” and see that it’s really just added taxes for short term rentals? What’s really at stake here is that AirBnB cuts into the established rental market and makes people like Hatteras Realty, Sun Realty, Southern Shores Realty and all of the local property management companies VERY VERY nervous because they are cutting into their profits. So, what do they do, they complain to their local government (friends) and magically they pass laws and – they register – they regulate – THEY TAX !!!! Good news, AirBnB already accesses and collects those taxes from the renters and from owners and passes that money on directly to the local governments. I never see it, I never have to pay it myself and I just ignore it as part of doing business. If I hired a property mgt company I would pay far far far more in costs and fees. Why do you think people don’t want to use them? I do like the idea of creating my own property management company. Good idea. Hey Nags Head, how about looking into Spectrum?